The theme of bathroom doors and restroom doors comes up frequently in dreams related to privacy. The phrase “having a private moment” refers to using the bathroom. In Japan, public bathrooms are equipped with noisemakers so that you can drop a load and not bother your neighbor. Privacy and bathrooms are closely associated. Here’s how the connection plays out as a recurring dream theme. I start out in a setting I like, a bookstore, office, etc. Then I have to use the bathroom. So I go find it and there’s not a soul in there but me, there’s dozens of amazing stalls, but no doors on them! The bathrooms are so lovely and I long to use one of them but I just can’t fathom the thought of using one of them without a door, in case someone walks in! Sometimes I’ll find a stall that has a door but it’s disgusting…. I’ve had these dreams since I was young. I think the bathroom dreams might have something to do with my home life with my parents. Maybe because I feel like life is great with them but that I have no privacy, and when I do finally get the chance to shut them out and have my own life, it will not be as luxurious. No shabby, insect-ridden hell hole apartments for this princess, er, young lady. She prefers the luxury of living with her parents … at a price of not being able to shut them out. The door (or lack of it) on the stall symbolizes being able to shut people out of one’s private life. The same ideas applies to dreams about bathroom doors, not just stall doors. Case solved. Next dream. I had a dream that I was trying to close the bathroom door at my house but whenever I walked to the toilet, it would swing back open. I kept going back to open it over and over but it wouldn’t stay shut. Any idea what this means? It sure looks like a dream about trying to find privacy. Think of ‘shut the door’ in the figurative sense. The symbolism of the action suggests ideas related to privacy, but you can also ‘shut the door to the past’ and ‘shut something out of my life.’ Because the bathroom is involved and it’s a place where privacy is expected, that’s the path to explore to get to the meaning. Focus on the part about how the door won’t stay closed. How does the symbolism of that action fit your situation? I’ve had dreams of there being no stalls or walls around the toilets in a bathroom. They are always clean. They are always nice. They’ve never been dirty. But, they are also always filled with other people. I will walk into the bathroom in my dream and go to a stall with no walls. (Sometimes the bathroom has walls, but there are gaps so huge that you can see between them) and I will sit down and try to use the bathroom. I do use the bathroom usually but while I am doing so I always feel nervous and scared. I feel awakward and I feel like people are looking at me. It doesn’t stop me from using the bathroom though. My dream so far seems not to relate to anyone else’s. I’m wondering what it’s meaning is. I dream of it all the time. 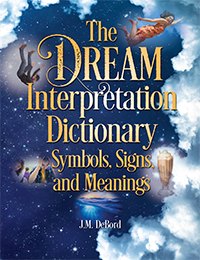 By viewing the dream as a story and breaking it down to its simplest idea, what I see is a scenario that shows you feeling like you don’t have privacy. In a bathroom stall you expect privacy. Relate that to the idea of “private life.” Put that idea together with the scenario of the dream and ask yourself if it means that you are uncomfortable with people seeing into your private life.